The Midlands Sheds & Fencing Centre is dedicated to providing the highest levels of customer care and satisfaction for a wide range of individuals and organisations in Brown Hills and across the West Midlands. The Midlands Sheds & Fencing Centre are specialists in the manufacture and supply of all types of fence panels in Brown Hills and surrounding area. Garden fencing, security fencing and decorative timber products designed to enhance any garden or landscaped area. We manufacture our own high quality fence panels. 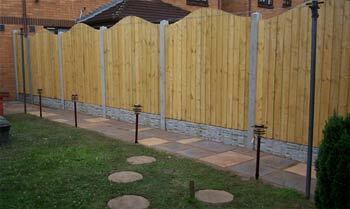 We then deliver and can also install our fence panels anywhere in Brown Hills and the local area. We offer a FREE Quotation - No Obligation service. We Delivery, erect and repair fences and fence panels in Brown Hills and surrounding areas.